Sewing Circle: What to make with one yard of fabric? Welcome to Sewing Circle! Today's question I'm sure you'll have some experience with--and if you don't, this may be helpful for you in the future! Q: I have a not so much a question, but I am having trouble finding a pattern. I found this great fabric in my mother's salvage box, however she only had about a meter of it. My question is, do you know of a dress pattern that only uses one meter of fabric? I've had a look around and can't really find anything I could make with it. I'm rather thin and I like short hems so anything you could suggest would be great. A: That’s a great question—and I’m definitely one to try to stretch my fabric as far as I can, and I often make things with just barely enough fabric! I think in yards, but luckily a meter is almost the same size as a yard, so I can tell you my experience with one yard projects. If you’re looking for dresses in particular, I’ve made some short summer dresses with a yard, easily. I have no idea what your fabric looks like, what texture it is, etc. but I can offer my fave shapes and silhouettes, and you can use whatever pattern you have at home or have an eye on. The easiest shape for a small piece of fabric is probably this style for the bodice--just strapless, very simple, and then make a skirt (gathered is super easy, to whatever length you want—it may use up the rest of the fabric!). And add skinny straps if you want! Or this, but the skirt could be very short!! 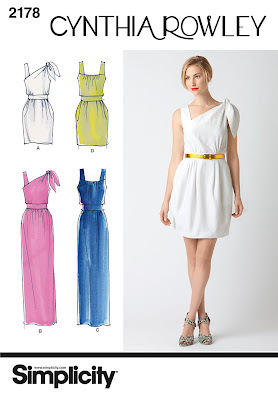 You can easily mix and match skirt and bodice, to work with the amount of fabric you have. And of course, no matter what you make, think about adding a coordinating fabric as a hem band, waistband, the bias binding around the neck and armholes, whatever. 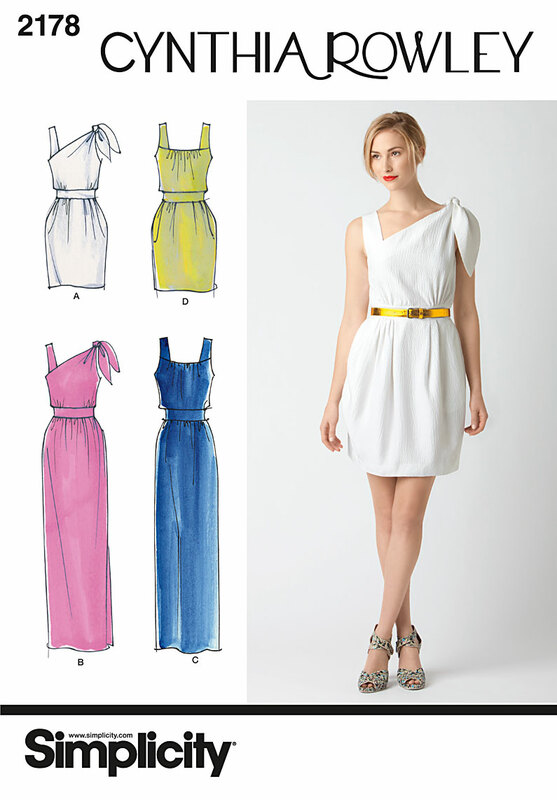 And, plan to use another fabric for the lining if you choose a dress with a lining. For fun, you also may want to look at this book: One-Yard Wonders: 101 Sewing Fabric Projects. I don't remember how many clothing projects are in there, but it's a great way to think about how you can cut up that fabric in an efficient way! Hey, readers, I'm sure you have some ideas for Liz! What have you made in just a little bit of fabric?? 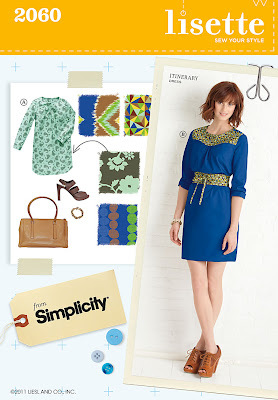 Block it!, find a matching color fabric solid and think simple 60's dress . Of course!! That would be super cute, if it's a solid color or a print that lends itself! I was thinking the same thing, blocking it would be a great idea! I am so inspired to learn to sew! These patterns are so me. I have learning to sew on my list of goals this year, and I am a little behind in this endeavor. I think I need to just sign up in a class to kick start this inspiration . You can always make a simple gathered skirt with an elastic waist! That doesn't take much fabric! I am almost finished making a little girl's dress from a thrifted sheet! You could use it to make a bag, or as suggested above, a very simple skirt with elasticated waist. 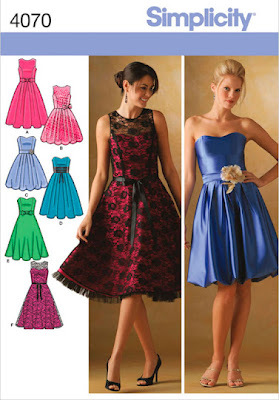 All these dress patterns look fab. If Liz was using her meter for the bodice on a dress pattern and use another fabric from her stash to make a contrasting skirt, would this work? Or would this be a no-no? (I am considering doing this myself). That's what I've been known to do! 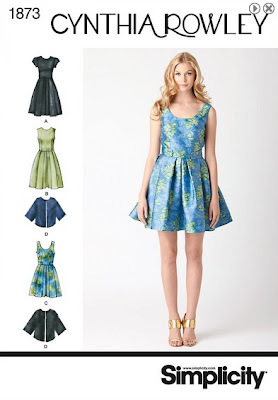 White bodice, printed skirt, or something... lots of fun, very ModCloth-ey! Well, if you've been doing it then it's a definite yes!!! Sounds like a lot of fun! Thanks for the link. In the UK they re-named the On-Yard wonders book for metres LOL! 101 Great Ways to Sew a Metre: Look How Much You Can Make with Just One Metre of Fabric! (May 2010), this might be the newer edition too? :-101 Fabric-by-Fabric Ways to Sew a Metre (Feb 2012) it has the same author/s. Oh, right. I looked it up at one point but must have forgotten! Think about adding seams, ie: piecing together your sleeves or skirt (just make sure that all pieces have matching grainlines. Cut your facings or a waistband out of another fabric. Also, ignore the layout your pattern instructions give you. I never look at them anymore. Just pay attention to making sure all of your pieces are placed on the grainline and you can usually save quite a bit of space. Prioritize which pieces you are cutting are most important to your design and cut them first then piece the rest. Totally--I never look at the pattern layout instructions, oops! I cut it pretty close. Piecing may also help Liz! I'm so glad I found you, I always read your posts with interest! I bought a lot of fabrics and now I'm encouraging myself to start trying somwething!